We love to hear when our clients have holidays of a lifetime and for our friends Sheryl and Gary their trip around the United States of America was just the case. Their tour frequented key areas in the USA through Route 66 including Chicago, St. Louis – Missouri, Frankfort – Kentucky, Louisville – Kentucky, Nashville – Tennessee, Memphis – Tennessee, Near Jackson, Natchez – Mississippi, Baton Rouge – Louisiana, New Orleans – Louisiana and Los Angeles – California. “Our Insight tour, Rhythms and Flavours of America from Chicago to New Orleans was steeped in history, music and food, exposing us to different flavours in different states. 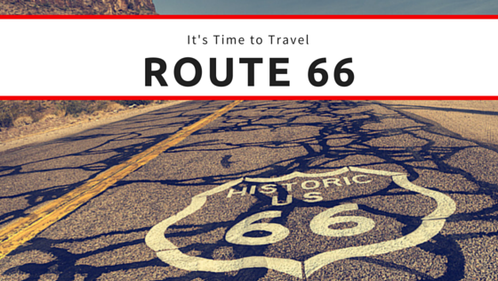 Starting out in Chicago was the start of Route 66. We were tempted with Fannie May chocolates; you haven’t tasted chocolates until you have tried these. We boarded the Untouchables Tour… History of the Chicago Gangsters, this was a fantastic tour both educational and lots of fun. The bus driver and tour guide were good actors as well as comedians, which made for a very interesting tour. This is a must see tour for clients of all ages visiting Chicago. When we arrived at St. Louis – Missouri the St Louis Gateway Arch took our breath away. There was such a fantastic view from the top of the arch out over the Mississippi. We also visited the Old Courthouse now a historical museum and the first Catholic Basilica in St Louis. In Frankfort Kentucky we visited the Buffalo Trace Distillery, the oldest distillery in the USA. Gary enjoyed the bourbon; it’s a must for all bourbon lovers! Louisville Kentucky was a quick stop to Churchill Downs home of the Kentucky Derby. Walking in downtown Nashville, Tennessee the clubs are playing live music 24/7. People over flowing out onto the streets and the alcohol flowing freely all day. It was high school graduation day the day we were in Nashville, which made for extra noise of young kids yelling and celebrating as well as alcohol consumption. That night we went to the live radio broadcast of the Grand Ole Oprey. Oh WOW! It was absolutely fantastic. We were lucky enough to be in the audience for this live broadcast. This radio show has been going in America for over 70 years. Visiting Studio B history of music the 50’s onwards was life changing. I stood where Elvis stood making his first recording for this studio. The hotel that we stayed in Nashville was amazing, Gaylord Opryland Resort & Convention Centre. There were four accommodation wings to the complex, all connected. We stayed in the Garden Conservatory wing. Restaurants, bars, coffees shops and retail shops were all found within the centre. Check in with us next fortnight to hear more from this amazing experience. Do you want to get away from the office for a little while? Call Josh on 1300 761 901 to make your booking today!